You can’t reach greatness without established goals to reach. 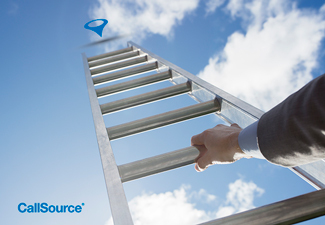 If you don’t know by now, CallSource really believes in the power of goal setting and achieving. To be the best of the best, it is important to set goals. You must always have something to strive for. We already went through the first 3 steps of goal-setting; now we are at part 2 to finish up how you can properly set goals with employees to help your business progress positively. Now let’s finish it up! Are my team members invested in the success of the business? Are my team members motivated to stretch and achieve new levels of success? Do my call handlers know their role in the sales cycle is to set appointments? Can my team members correctly answer what their goals are? Can my team members correctly answer what the company goals are? If a team member falls short of their goals, are there specific steps that will be taken? If “No” is often the answer to these questions, meeting your goals may require a shift in culture. Cultural shifts do not need to be frightening or painful for your team. Nor does it require you to shed what makes your business a fun and rewarding place to work. Understanding the nature of the change, setting clear goals and expectations, and communicating effectively with your team will create a smooth process. Creating a consultative sales culture and a culture of accountability has helped many CallSource clients reach their performance goals. Creating a consultative sales culture simply means that call handlers understand that their role is to set appointments for qualified prospects. This means, making an effort to understand the caller’s needs, building value and asking for the appointment. A culture of accountability is not designed for the sole purpose of punishing poor performers. Strong performers will benefit, as their efforts will shine through and be recognized. Each team member will understand his or her role and how that role impacts the success of the organization. Standards and goals will be defined, and each person will work to achieve those goals. Those who are falling short will accept the need for additional coaching and training and make an effort to learn. To make sure you are achieving your goals, plan on holding regular “check-ins” with staff. These might be daily, weekly, or monthly. Choose what best suits your business, and communicate the schedule of the check-ins with your employees as well. Check-ins can be included in your action plan and given to call handlers ahead of time. This will hold them accountable so that they will be continuously working towards improvement. By checking in, whether these might be held as a team meeting, individual meetings, or looking at reports weekly, or a mix of all of these, make sure there is a system in place to keep your goals in check and on track. Once you have hit your goals, make sure to keep aiming to be better or stay the best. Your goal may be a continued improvement or maintain consistency. No matter the case, always have a goal in mind and make sure to relay these to your employees. Post them somewhere, hold ongoing meetings, and stay on top of the progress. Once you have achieved your major goals, you are on the path to stay at the top. Never become complacent. By continuously setting goals you will become as successful as possible. How do you set goals and track your progress? Drop us a comment below!